Hi my name is Dr. Kerri White and I am pleased to offer you and your family the best dental service you have ever experienced. I decided to become a dentist when another dentist changed my life. I lived the first twenty years of my life with a severe underbite. Speaking and chewing were difficult, headaches were common as was dealing with the teasing and being called "bull dog " face. When I was 18 I worked three jobs one summer to save up for the down payment on my braces. I finally got the jaw surgery to correct my bite when I was 20 years old. The team of my dentist, orthodontist and oral surgeon changed my life so much for the better that it inspired me to do the same for others. I graduated from the University of Detroit Mercy, a private school with a heavy focus on clinical dentistry in the heart of Detroit, MI. It was a blizzard day in April when I had finally had enough of the snow and convinced my husband that a move to Florida was the best thing for us. I was overjoyed at the chance to offer my services to patients of all ages in south Florida, giving the best that dentistry has to offer with compassion and the excellence that over nine years experience brings. My philosophy on dentistry is simple, put the patient's well being first because every patient deserves the same standard of care as I would expect for myself. At White Smiles we REALLY do treat you and your family like our family. To deliver this high standard of care both me and my team are dedicated to only doing top quality and state of the art treatment. I am so blessed to work with such a great team. I guarantee satisfaction in all I do, I am not happy unless you are happy. Dr White and her entire staff are #1 Amazing!!! I love Kerri! Everyone at her office is so sweet. As nice of an experience as can be in going to the dentist Amazing staff and dentist. She and staff were incredibly professional, nice, welcoming and most of all understanding. They promptly greet you, take you through everything slowly, explain everything clearly and thoroughly. When booking another appointment theytry to get you in ASAP. So nice! I feel well taken care of and am excited to go back. They made me feel very important . 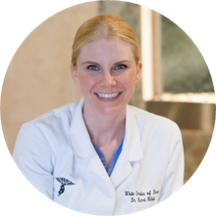 Dr. Kerri white is an extremely caring and friendly person. Her perfessionalism is one like no other, she cares for all of her patients as she would care for her self. Afraid of getting the numbing shot , necessary for someprocedures, you have nothing to worry about for Dr. White is merely the most gentle person in the industry in my opinion. She even comfort you as she's giving you the shot. She song a little nursery rhym to me it was quite exhilarating to me I might add. Having said that she's a really great dentist I recommend her to any and everyone. The entire group over there is really nice and professional. So book an appointment today and get your pearly whites taken care of. The doctor was amazing she helped fix a problem another dentist had did . I didn't care bout the charge . She was amazing !!!! This was my first visit to Dr. White. I walked in to a beautiful, clean office and was kindly greeted by 2 very nice women behind the front desk. I went back and sat in the chair for about 15 minor so before I was seen by Dr. White. It was okay because I was chatting with the dental hygienist while I waited for her to finish up with another patient. Everyone was very professional and friendly and I made an appt for a cleaning in a couple of weeks. Today I had to have a veneer put back in place that came off. Highly recommend!!! Everything went well despite the news I need a root canal ?? Great dentist and takes the time to answer all questions and make you comfortable. The office staff is very friendly and professional. Now my family are patients here as well. Dr Kerri White is wonderful with children and adults and Iwould recommend her to anyone looking for superior dental care. Very pleasant, caring and knowledgeble. It doesn't hurt when she does fillings. She was so so nice, and knowledgeable. Made the fear of going to the dentist doable. She was the ultimate professional, with the gentleness that most people look for in a dentist. I think it was a great first experience at the dentist. She along with her staff are simply amazing! very professional,honest and caring. highly recommend Dr.White and her staff. The receptionist was super friendly as well! Very professional and friendly office. I felt everyone was very caring. Dr. Kerri White, DDS has no appointments on Zocdoc right now.